This is Chef Jesse Perez. He can burn your face off with a taco. 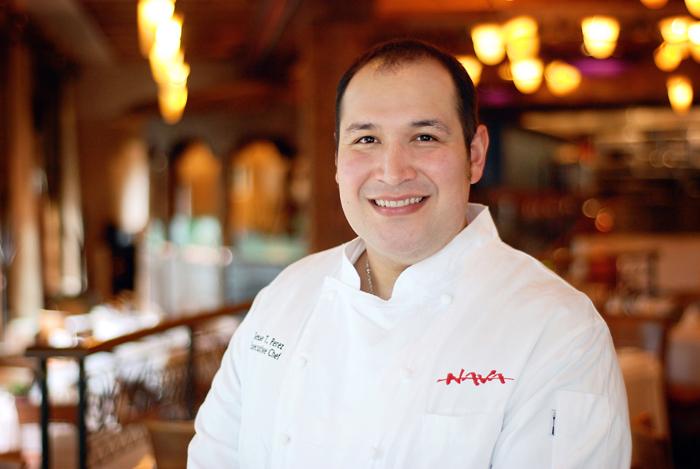 Jesse is the Executive Chef at Nava, a renowned southwestern/latin fine dining restaurant in Atlanta. He just won a national award for Best Latino Chef in America that will be announced officially later this summer. Jesse asked me to take a picture for him to use in all the magazines and things where they’ll be publicizing this award. I never say no to anything, but this one was a no-brainer.